Paul Riske, M.D., F.A.C.S., P.C. Dr. Paul Riske completed medical school and residency at Loyola University in Chicago after receiving his undergraduate degree from the University of Richmond. He then completed a fellowship in oculoplastics at Duke University. He has also written numerous articles and chapters for books about ophthalmology and oculoplastic surgery. Dr. Riske has specialized in oculoplastic surgery for more than a decade. Oculoplastics is a sub-specialty of ophthalmology and encompasses surgery of the skin and bones surrounding the eye, eyelids, and lacrimal (tearing) system. In addition to reconstructive oculoplastic surgery, he performs cosmetic eyelid surgery as well as laser skin resurfacing. Dr. Riske is board certified by the American Board of Ophthalmology as well as a fellow in the American College of Surgeons. He is affiliated with Blue Ridge Surgery Center, Rex Hospital and WakeMed Hospital. Prior to his medical career, Dr. Riske served in the US Army as a helicopter pilot and worked in finance for a large bank in New York City. 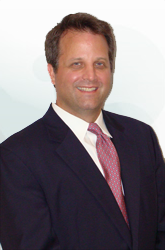 He has worked with Raleigh Ophthalmology since 2004 and lives in Raleigh with his wife and four children.